I absolutely love jewellery it can bring an entire look together, and lets face it i'm a sucker for anything that sparkles and shines! 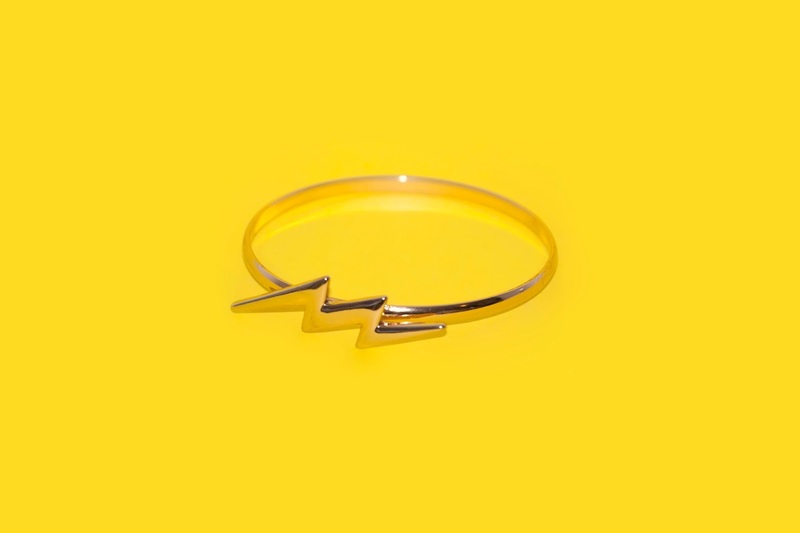 So when I was approached by Rings & Tings to review a few items I jumped at the chance! Rings & Tings were kind enough to send me 5 pieces of jewellery of my choice. There is so much variety on the site that I struggled to narrow my choices down to 5! I received the items rather quickly considering they were sent out from Hong Kong, it took just under a week! Everything came well packaged in a little box, each item was individually sealed in a branded plastic bag which stopped everything from tangling up! 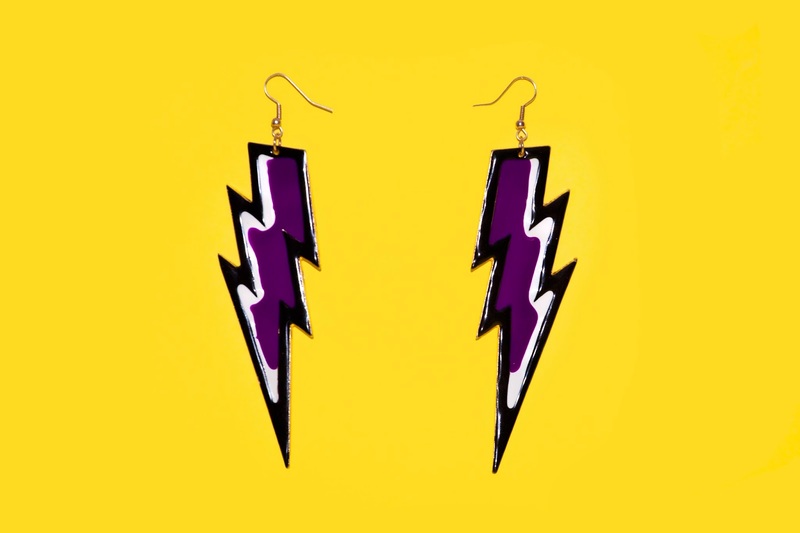 If any of you know me you will know that I love lightning bolts! So I was very pleased when I received this! The diameter of this bangle is 6.6cm it fits very well and is comfortable to wear, it can either be worn loosely on the wrist or pulled high up onto the forearm. Out of all the pieces I've definitely worn this the most! I love a long necklace they are so dynamic and work with many different necklines, this particular one is 72cm so it stops just above your navel. 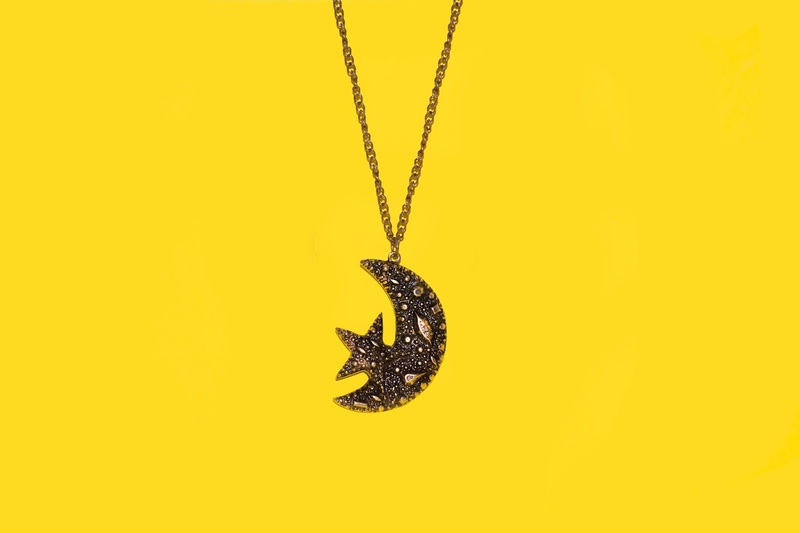 I really like the design of the moon and star pendant it is very chunky and bold measuring at 4.5cm by 5.8cm. There is so much texture on the surface it really brings out the different tones of bronze and gives a sense of depth. This is a very versatile necklace and will go with so many outfits, it will certainly be one of my jewellery essentials. I've been meaning to get a collar necklace for a while now so this was a perfect opportunity to do so! If you don't know, a collar necklace is very much like a broach, on the back of each pendant is a pin which can be attached to a shirt collar. They can bring a plain shirt to life giving it an original and detailed edge. 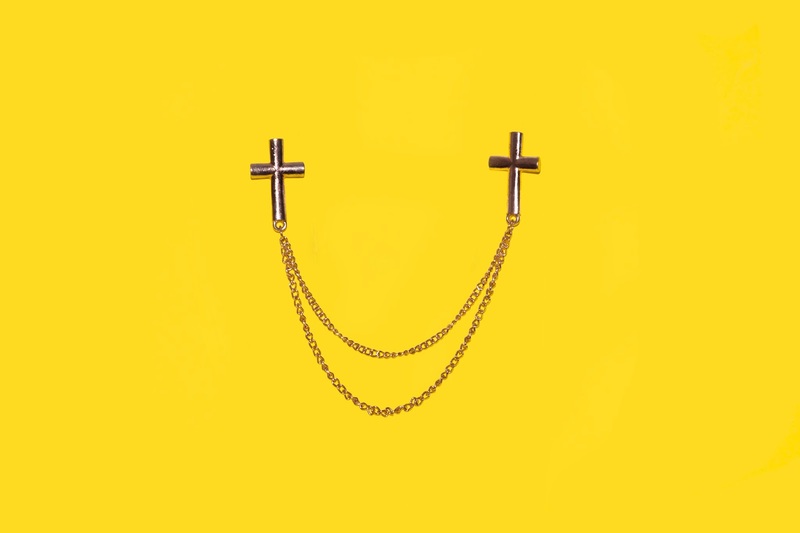 This particular necklace is coloured gold and has a cross at each end measuring at 1.5cm by 2.3cm and is linked by a chain, the longest point being 10cm. I really like this design particularly the double chain linking the crosses (go check out my outfit post where I attached it to a dress). This is a great alternative to an ordinary necklace, you can also attach it to other garments too, why not pin it to your bag or place in your shoe lace holes to jazz up your shoes! The possibilities are endless! If you are looking for a subtle yet unique piece to wear this is one for you! I am in LOVE with these earrings! Such a great statement piece! They are so glossy and smooth on the surface that they catch light very well, which definitely draws peoples attention! However the earrings are rather big and heavy (9cm by 3cm), personally i'm used to wearing large earrings so this doesn't bother me, but if you don't usually wear heavy earrings you might find that they pull on your lobes a fair bit. The quality of this product is brilliant despite the low price, they are also on sale at the moment so if you love quirky statement pieces they are definitely for you! Check out the outfit post I did last week with these babies! This adjustable bee ring is so sweet! I love rings that are adjustable as it can be so hard to find rings that fit online without trying them first. The size of the bee is 3.5cm by 4cm, when worn it sits just under your knuckle. This ring is so detailed its hard to believe how little the cost is. 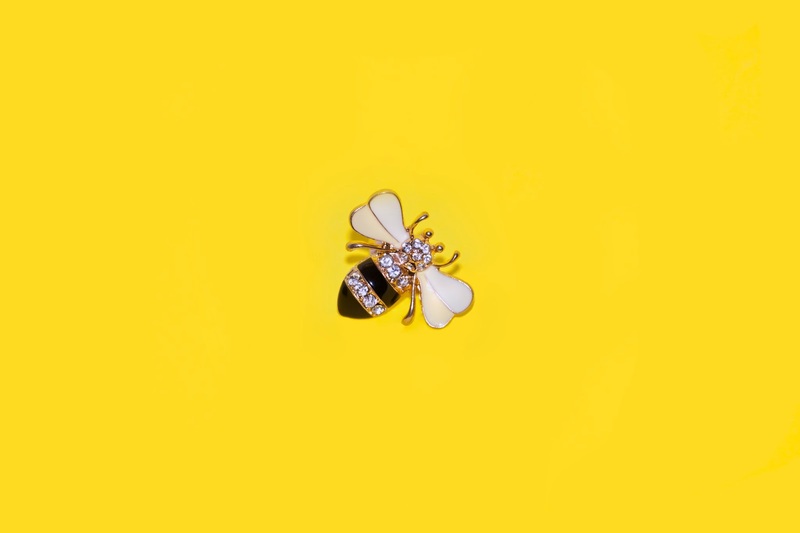 The body of the bee has to be the most eye catching part of the ring, it consists of several crystals which contrast greatly against the glossy black stripes of the bee. This unusual yet beautiful ring is a brilliant stand out piece for summer. 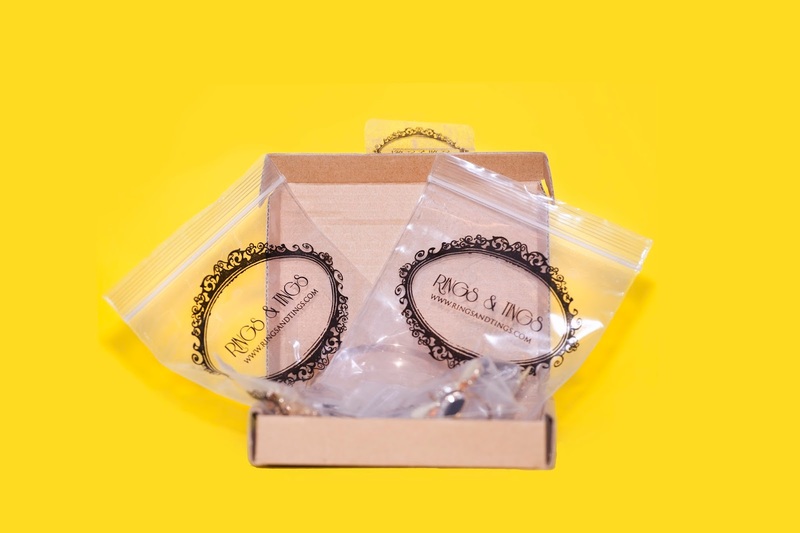 Overall Rings & Tings are a great site for affordable fashion / costume jewellery. Their products range from minimal and chic designs to the bold and quirky, catering for a broad range of tastes and styles. The quality and design of the products I received are definitely on par with jewellery sold in high street stores such as TOPSHOP and H&M but far friendlier on your bank balance! I will definitely be ordering more products from this site in the future as I have my eye on quite a few pieces! Go have a look for yourselves!